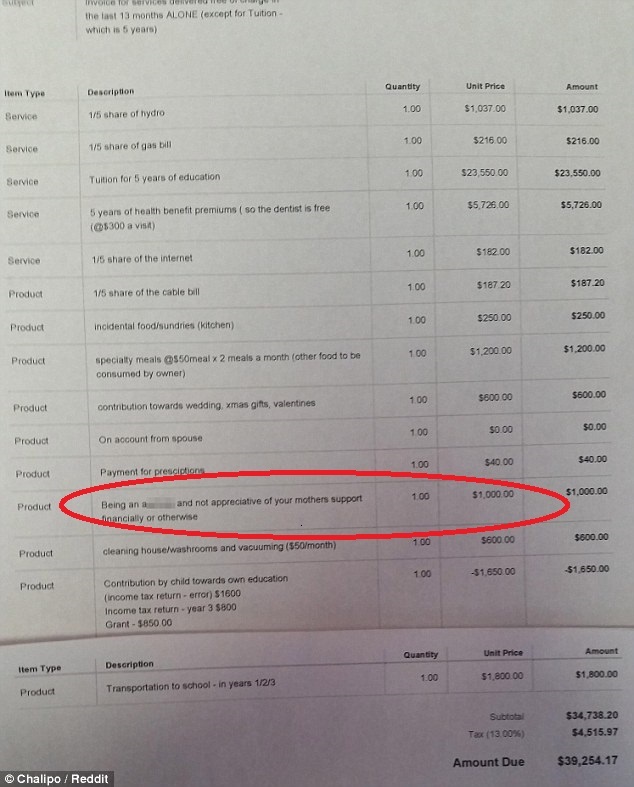 A Canadian Reddit user by the username Chalipo who lives with his parents shared a bill his mom gave to him for being an 'unappreciative assole'. Chalipo's said his mother decided to charge him for all the ways in which she'd been supporting him. 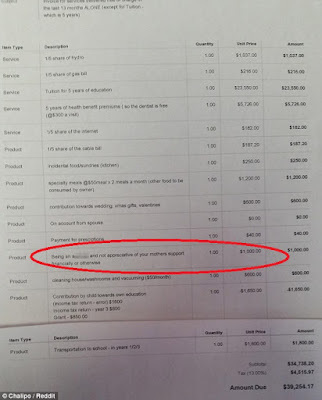 The total bill for the mum's support for the past 13 months summed up to $29,176.09 USD. The Redditor says he attends school full-time, works part-time, and also has an internship but that his parents have helped him with a roof over his head, working internet, and a stocked fridge. She also charged him for a fifth share of the house's electricity bill (called Hydro in parts of Canada), the gas bill, internet, and cable etc.